Perret was just one of a great tradition of French constructeurs, entrepreneurs who not only designed but also built and patented construction systems. There’s no real equivalent word in English, but it describes a tradition that Nervi was very much a part of, even though there isn’t really an Italian translation either, come to think of it. Perret was the first French parallel I thought of to Nervi, but it occurred to me that an equal case might be made for Jean Prouvé, who was ten years younger. He also worked in metal, almost exclusively, but his relationship to his material was as tightly-knit as Nervi’s was to concrete. 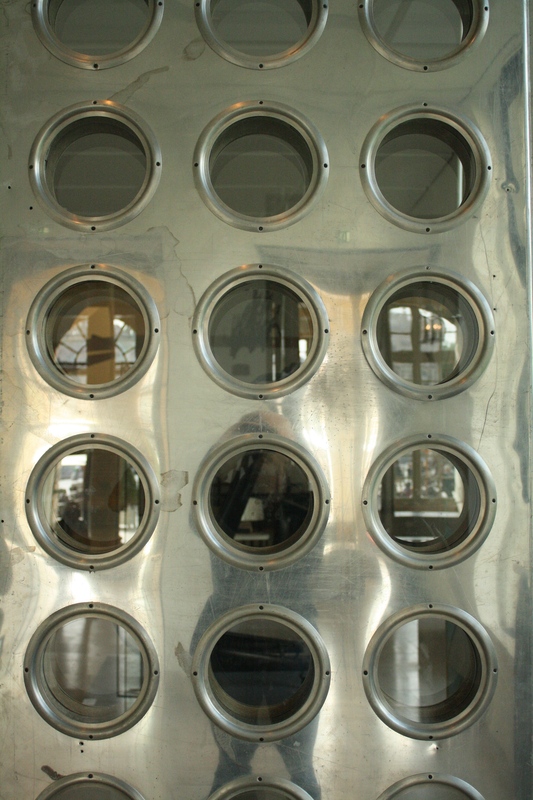 Prouve grew up in a metal-working family in Nancy, a town two hours east of Paris that feels like a different world. The iron industry in that part of France has always been strong (think Belgium, or western Germany), and Prouvé’s father was a gifted artisan. Prouvé’s early work followed suit, with Art Nouveau doors, gates, and windows for residential and businesses around the city. Like those, there. Nancy has done a good job of presenting the work of the Prouvés, including a walking tour (OK, actually more of a driving tour, as the helpful tourist officer pointed out, but if you have a good set of shoes and a whole day you’ll be fine) and two separate museum exhibits–one at the Musée des Beaux-Arts on the Place Stanislas and one a couple of miles south in Jarville at the Musée de l’Histoire du Fer, a museum that tells the story of the region’s iron-working industry. Right there, that’s interesting. Not many figures could have their work shown in an art museum and an industrial history museum. This is the architectural history/construction history dilemma institutionalized–is architecture more art or more industry? Prouvé makes this even more difficult, since he was an artisan more than he was either an architect or an engineer. Nervi got around the question by calling himself a ‘builder,’ but Prouvé’s designs sprung even more directly from individual components–from the bottom up, as opposed to the Beaux-Arts ideal of design from the top down. This is an entirely inductive, not deductive, approach. Gradually, Prouvé moved beyond the ornamental ironwork that the family was famous for, and began working with steel as a mechanical material, finding ornament within the rolling, cutting, and bending processes of the fabrication shop and combining them with a very subtle lyricism; his building and furniture designs from the 1930s onward are all rigorously pragmatic but also stylish, a rare combination that was equaled only by Charles and Ray Eames. 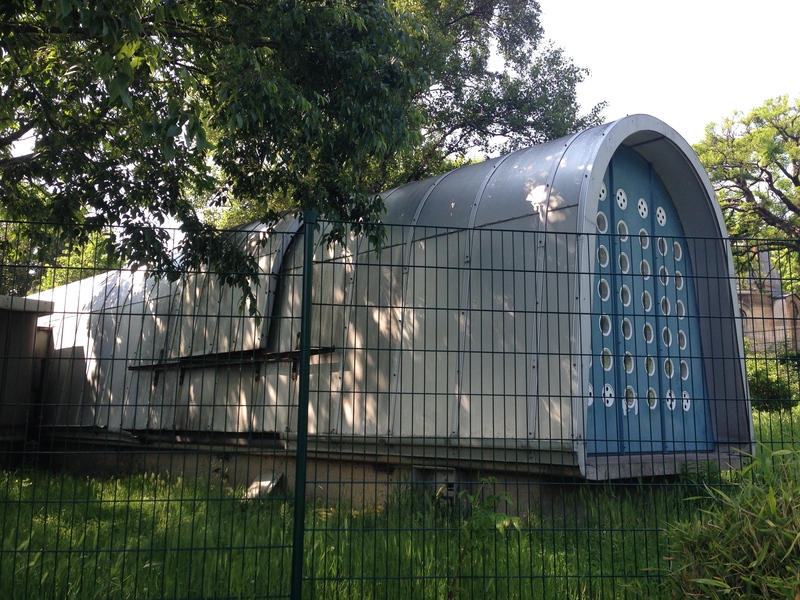 The Prouvé house and factory in Nancy are also open to the public as museums…starting next week. Which might be worth the return trip even though my time here is winding down. Paris has a few examples of Prouvé’s work, in particular some railings and grilles for houses by Robert Mallet-Stevens, a late curtain wall for one of the early towers at La Defense, and this dalek-looking observatory in the park behind the larger Observatoire. But his greatest contribution to the city was his passionate advocacy for the Piano and Rogers scheme as a juror for the Pompidou Center competition, a scheme that owed quite a bit to his own philosophy and style. The Musée de l’Histoire du Fer, incidentally, has a full-scale reconstruction of the Maison Tropicale, maybe Prouvé’s most famous ‘building’, on display in its courtyard through the Fall, a vanishingly rare chance to see an iconic 20th century design that’s an interesting parallel to Bucky Fuller’s Wichita House. Designed for French colonies in Africa, the Maison was designed to be flown to a site in pieces by helicopter and assembled by a crew of 3-4 people. There’s a good video of the reconstruction that makes it look about that simple, and you get a sense for how the metal shading and double-skinned roof would have ventilated and cooled the building. Hello! 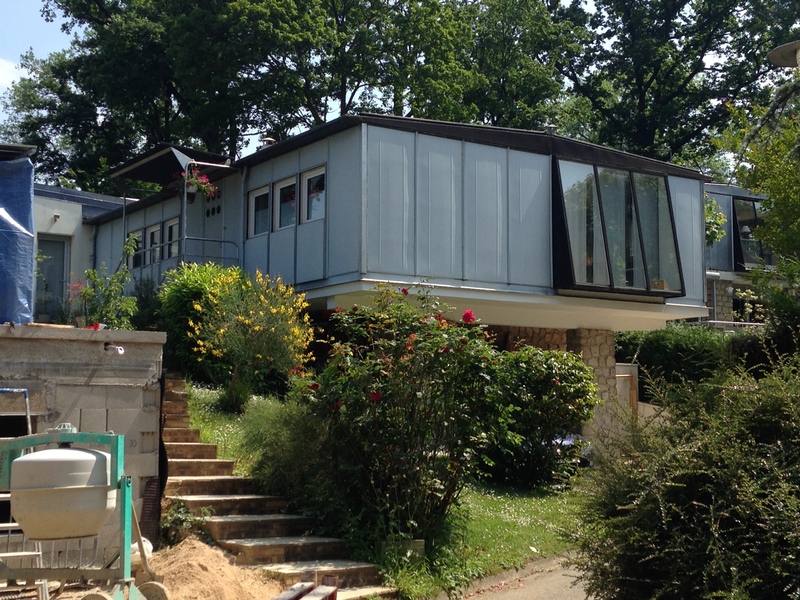 Great post regarding the works of Prouve, which are ever so hard to find! Any chance you could help me locate some of the few you showed (and hopefully more). 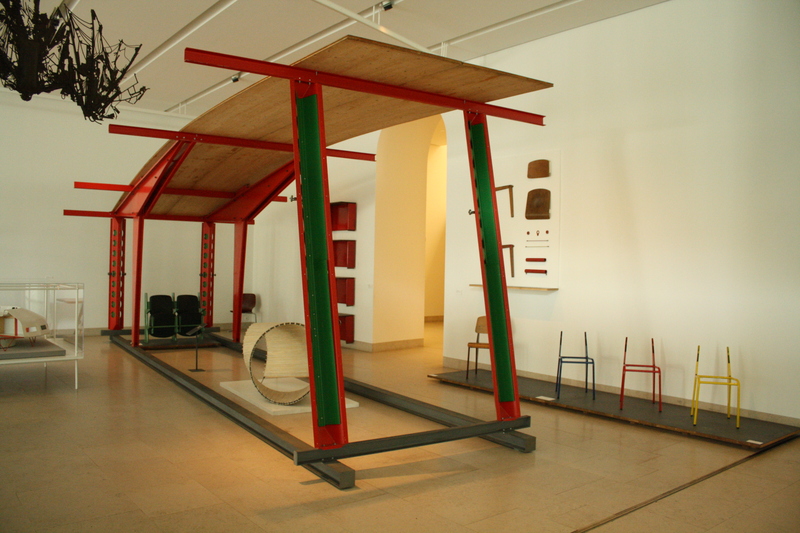 I am a recent graduate and want to plan a trip almost exclusively to study the works of Prouve in person. Please let me know of any advice or help you can give me. Glad you enjoyed the post and happy to help. Nancy is easy–there is a tourist information office on Place Stanislas in the middle of town that will give you a map dedicated to the Prouve sites there. Most are small, but the house and office are open in the spring and summer and should be worth a visit (hadn’t opened yet when I was there). You can walk to most of them, but some are far enough out that you’ll need to take a bus or rent a car. The Meudon Houses are SW of Paris’ centre, on the Rue des Cotigniers in Meudon. Google Maps can show you where it is, I got there by taking the #9 Metro to the end of the line (Pont de Sèvres) and then taking the 179 bus from there to the “Les Capucins” stop. It’s a short walk through the neighborhood to the Houses–all of them are private, but no one seemed to mind my walking around on the public street. One of Prouve’s last works is at Esplanade La Defense–if you get off the #1 Metro right at that stop it’s practically right in front of you on the riverfront. Finally, the Maison du Peuple in Clichy is accessible by the #13 Metro line–about a 10 minute walk from the Marie du Clichy stop at the corner of Bouleverard du General LeClerc and rue Martissot. Definitely worth a trip, that one. 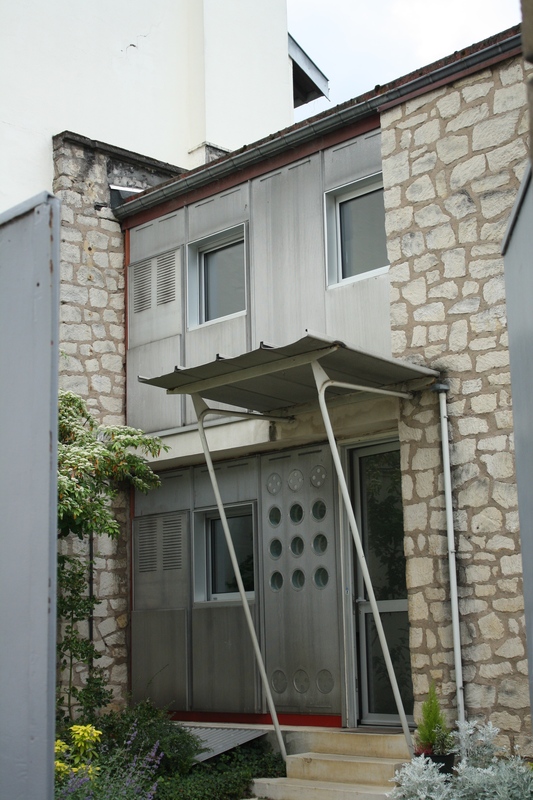 I would like to use the photo of Prouve’s Meudon house in a book I have written on housing. Is that possible please? I would credit the source. You are currently reading prouve at architecturefarm.